I might be upgrading to the Galaxy S8 here in just a few days. However, I wanted to share with you all an awesome find! I purchased a new screen protector, as my last just wasn't up to my standards. In April 2016 I purchased iCarez [Anti Glare] Screen Protector for Samsung Galaxy S7 and it wasn't bad for only $7. After a few months though the screen protector started to peel at the edges. It just looked nasty. I went without a screen protector for quite awhile before find one that stood out to me. Armorsuit had a great price and decent reviews. It was also only $7 so why not. I've had it on since February. Not a scratch, and no separation from screen. If you are looking for a great Screen Protector for your Galaxy S7 I definitely recommend checking out this brand! 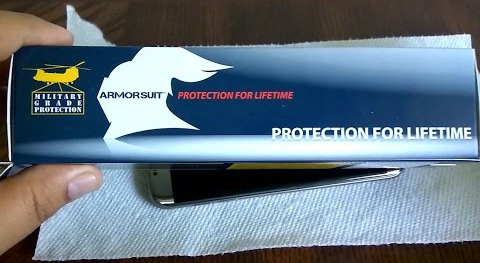 If you are getting the Galaxy S8 I've already ordered my Armorsuit for it. Now I am just hoping that I get my phone on Friday the 21st and don't have to wait a week.